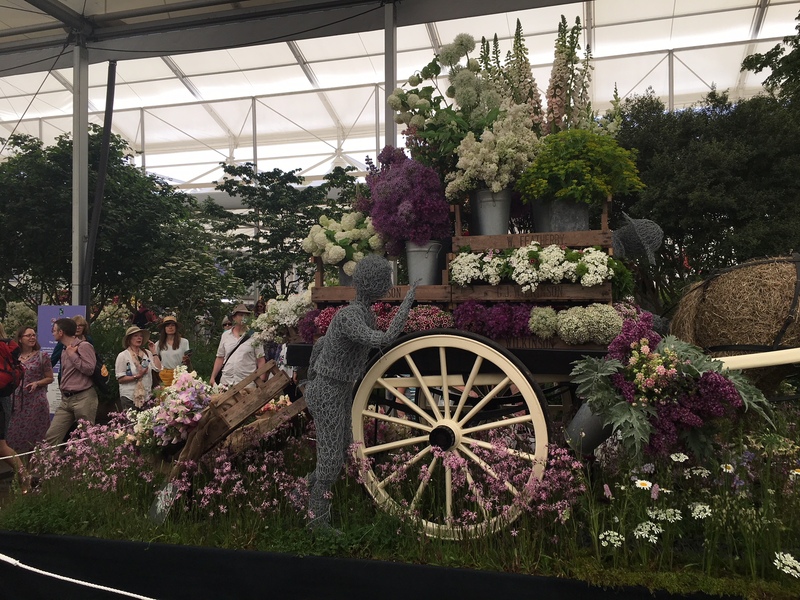 Flowers from the Farm is a network of small scale British cut flower growers which I joined when it first began about 7 years ago. Its sole aim is to promote British cut flowers and what better way than to exhibit at Chelsea Flower Show 2018, that pinnacle of the horticultural calendar? 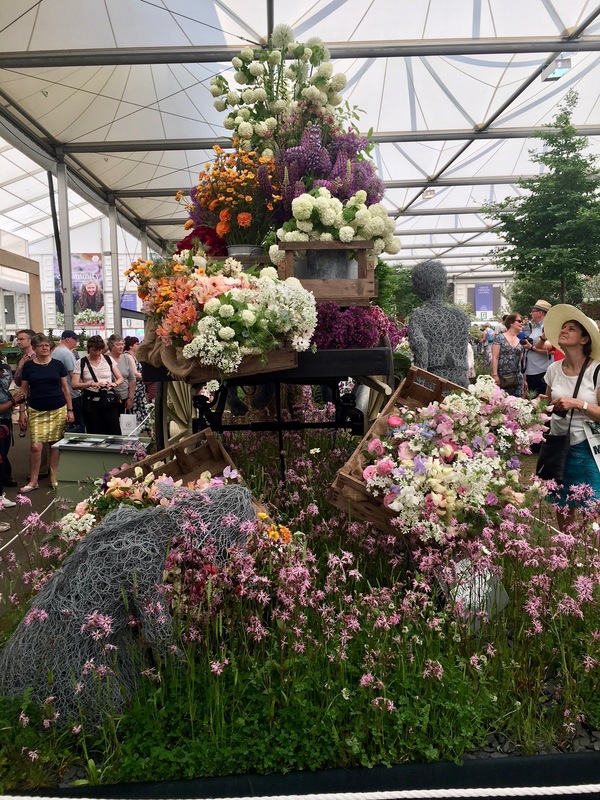 Gill Hodgson, founder, led a team of Flowers from the Farm members to design and build what turned out to be a gold medal winning design packed full of amazing seasonal blooms donated by members the length and breadth of Britain, (with a few Scottish grown blooms in there too). So what an honour to be asked to man the exhibit on Saturday in Chelsea. People were so supportive of the organisation and so many photos taken next to the horse. 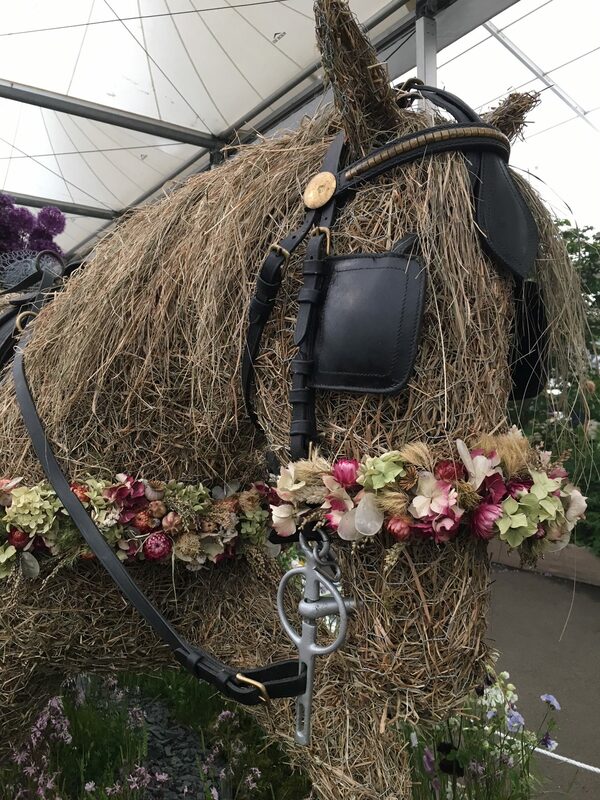 All wire sculptures and horse and cart were on eBay auction at the end of the show. 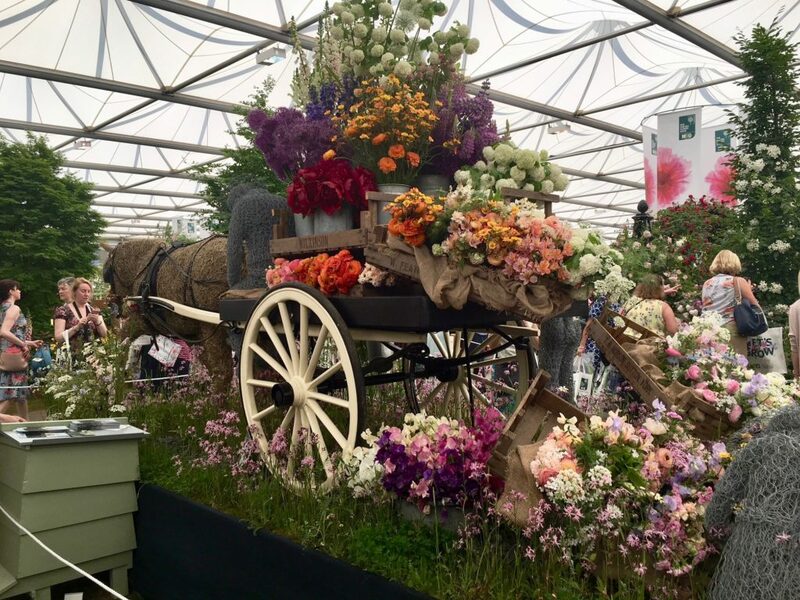 It is hard to believe that 7 years ago talking about sustainable British grown blooms and no floral foam was low on people’s conscience, but now with so many members and these issues taking a higher profile especially in light of plastic pollution, this is the time to support British flowers! And now time for the Chelsea Chop in the garden to prolong bloom window later in the year.